Great that you love the Original Pan Pizza since 1993! And you are not alone, more than 30.000.000 are eaten every year! The assortment in your local store may vary. The Original from 1993! 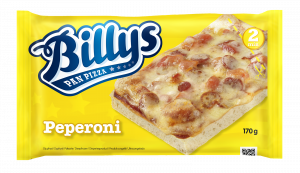 Billys Pan Pizza with delicious cheese, smoked pork and ripe tomatoes. 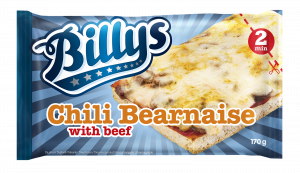 A perfect snack before heading to the football practice. Greens! 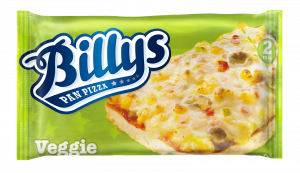 Billys Pan Pizza with grilled and Mediterranean vegetables, ripe tomatoes and delicious cheese. A perfect snack before heading to the handball practice. 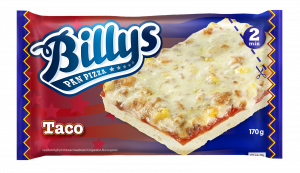 Billys Pan Pizza with minced beef, corn, tomato, onion and classic taco seasoning. A hot option! 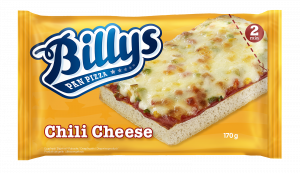 Billys Pan Pizza with spicy pepperoni, delicious cheese and ripe tomatoes. A perfect snack before heading to the dance practice. 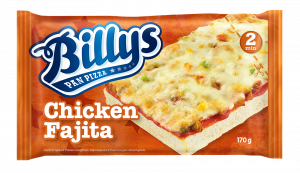 Nothing beats Billys Kebab! 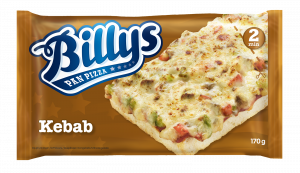 Billys Pan Pizza with tasty kebab, extra spicy tomato sauce and white kebab sauce. A perfect snack before taking a bike ride. Pineapple – exotic! 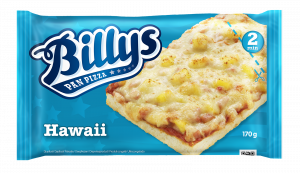 Billys Pan Pizza with cheese, smoked pork, ripe tomatoes and delicious pineapple. 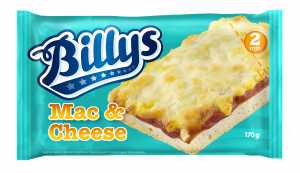 A perfect snack before heading to the skateboard ramp. Finally an organic pizza! Our classic with tomato and mozzarella, made from solely organic ingredients. A perfect snack before the tennis session. Italian style! 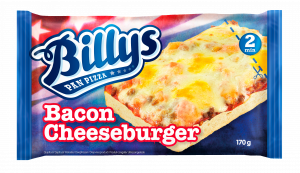 Billys Pan Pizza with cheese, minced beef, Italian herbs, sundried tomatoes, onion and pepper. A perfect snack before the floorball game. 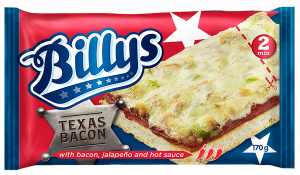 So, whats your story Billys? In the early 1990s, the Dafgård family travelled around the world to find new inspiration. By the Mediterranean, they found exactly what they were looking for. The pizza restaurants were selling pizza slices through a hole in the wall! 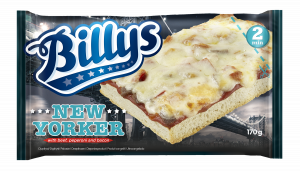 The Dafgårds liked both the idea and the pizza itself. Mediterranean, but I thought you were American? Well observed, dude. The journey continued and they travelled to the USA, where the exciting flavours of pan pizzas gave some extra fuel to the family's new pizza idea. 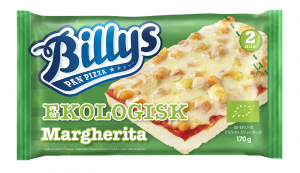 They brought the inspiration back home to Sweden and the village Källby, where they planned to develop their very own pan pizza. 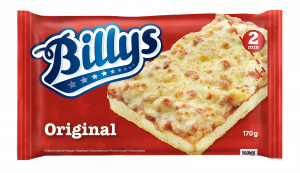 As soon as they figured out how to make delicious pan pizzas, they built the most modern pizza factory in the Nordics. And they sure did something right. 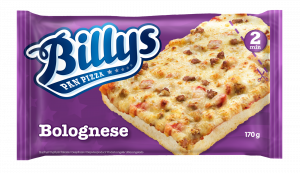 Not only are the pizzas exported throughout Europe, but Billys Pan Pizza is also the biggest frozen snack brand in Sweden with 1 pizza sold every second! Wow thats amazing! I have so many questions, how do I get in contact with you? Our customer service is here to help if you have any concerns, questions or complaints. Please send a message through contact below and well help you. Have a great day!